This boy’s retro comic personalized canvas growth chart is classic, cool, and the perfect way to watch kids grow. 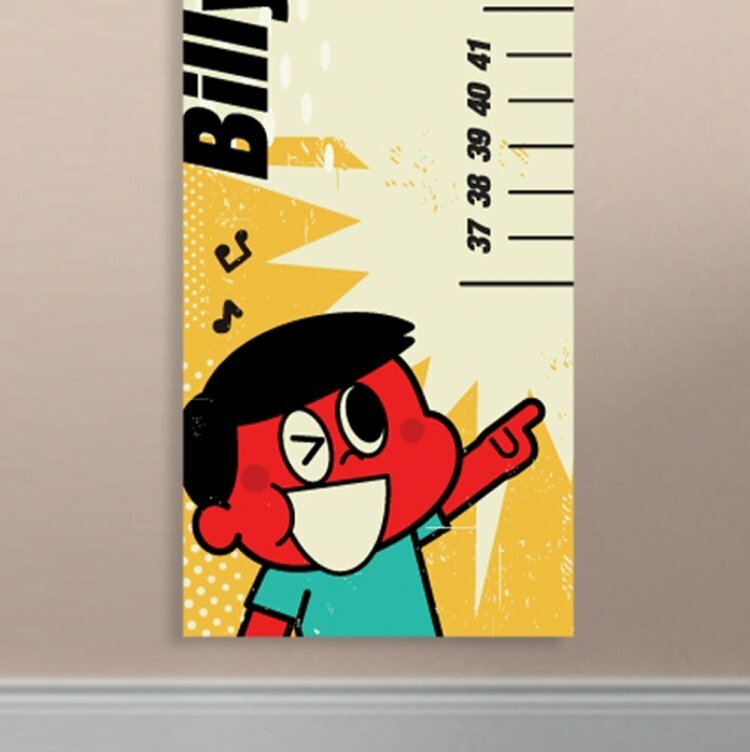 The printed canvas height chart features a fun retro style boy comic book image with a ruler style height chart that measures 24-60 inches. Personalize with a child’s name for the perfect gift! Customize with 1 line up to ten characters.